J & K Plumbing and Central Vac Inc.
Based in Carleton Place, Ontario, J & K Plumbing and Central Vac is a family-operated business serving the Greater Ottawa area for over 25 years. We offer 24-hour plumbing service, along with radiant floor heating and central vacuum installation. At J & K Plumbing and Central Vac, we pride ourselves on the successful working relationships we have built with our contractors and customers over the years. Our #1 priority is customer satisfaction. With our competitive rates and A+ rating with the Better Business Bureau, you know you’re getting the best service possible when you call J & K Plumbing and Central Vac. Get in touch with us today for your free quote! We offer 24-hour emergency services! Regional Plumbing & Water Treatment, fully licensed plumbers and plumbing contractor, can meet all of your needs for residential and light commercial plumbing services and repairs. Have clean water that tastes naturally good for drinking and cooking. Get the mineral deposits and iron stains out of your sinks. Regional Plumbing & Water Treatment sells and installs water conditioning equipment that improves water quality for both homes and small businesses in the Ottawa Valley region. Owners Rob Bradley and Brian Ward met in 2007 and began working side by side installing water treatment systems and plumbing custom homes, kitchen and bath renovations, and commercial facilities. As licensed plumbers with more than 15 years of experience and knowledge between them, they have been running Regional Plumbing & Water Treatment for 4 years. Serving Ottawa for over 10 years, Plumbing Ottawa Group provides you with fully licensed, insured and bonded plumbing experts with an honest and reliable work ethic. We will provide you with honest and fair free estimates at flat rate, up-front pricing. Through our 24/7 Emergency Plumbing Services, you can be sure to have a prompt and friendly service that will deal with your plumbing problems as soon as possible, guaranteed. Trust the local Ottawa plumbing experts, Plumbing Ottawa Group, to provide you with plumbing services on your next plumbing dilemma. To get your free estimate on the plumbing service you need, call 613-519-1321 today. 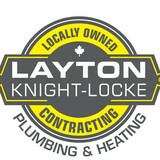 We are a local Plumbing & Heating Company. Fully licensed & insured. We would be happy to help you with all your plumbing & heating needs. Rose Mech is a locally owned and operated company that provides custom piping for plumbing, mechanical and natural gas applications, as well as professional heating services. We serve residential, commercial, industrial and institutional clients in Cornwall and surrounding areas of Ontario. Heating System Design, Installation & Maintenance We are experienced with all types of residential, industrial and commercial heating systems, including forced air natural gas, steam heating and hydronics. Sewer Repairs Rose Mech is your reliable local source for all types of sewer repairs, including backflow prevention services and backhoe rental. For price, quality and customer satisfaction, Rose Mech can’t be beat. Contact us for all your natural gas, plumbing and heating services needs in the Cornwall area. With Aurele St.Jean Plumbing, you never have to worry - we're fully insured. We employ 5 licenced plumbers (2 of them being Master Plumbers) and 4 registered apprentices. With our expertly trained staff, we can meet all of your plumbing needs, from drain cleaning to commercial plumbing. We're also a certified Wirsbo in-floor heating installer. 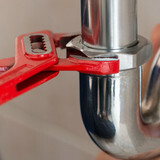 Our plumbers specialize in excellent customer service, treating your home as we would our own. This service continues until well after the sale with our workmanship guarantee. You can always count on quality products and quality workmanship from Aurele St. Jean Plumbing, where no job is too big or too small. Call us today. At John the Plumber we know choosing the best plumbers Orleans has for your job is no easy task, but if you are seeking a hardworking team you've come to the right place. For more than 10 years, our fully licensed Orleans plumbers from John the Plumber have been helping homeowners living throughout the Kingston area solve all types of plumbing inconveniences. Queens, Cataraqui Woods, Bayridge, lower Princess St., Gardiners Rd John The Plumber Kingston has all of your plumbing needs covered.